Southend on Sea has one of the busiest lifeboat stations in the country, averaging over 100 ‘shouts’ per year. In fact Southend has two of the busiest stations in the country! One of the stations is the inshore boathouse with the Hovercraft and D-class lifeboats. The other station is the offshore boathouse at the end of the pier, housing the Atlantic 85 and the second offshore D-class. 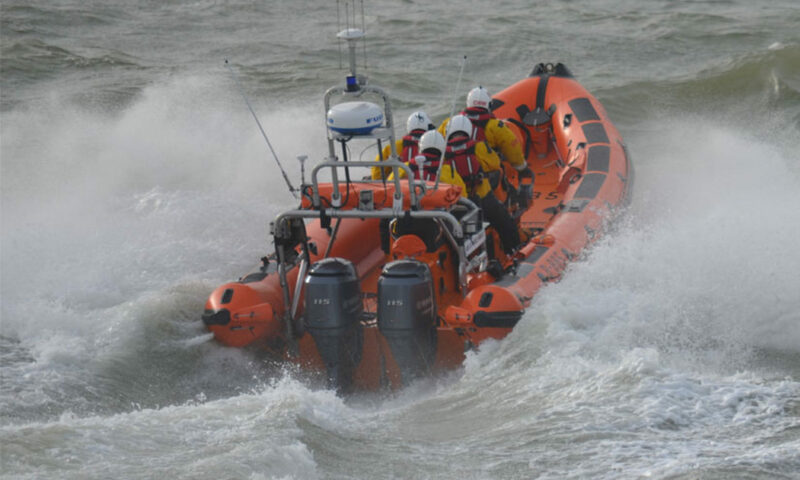 We are the only station to operate 4 lifeboat rescue units. 5 if you include the Buggy, which has featured in many shouts. Southend’s offshore boathouse also features one of the only RNLI man-riding davits. Since 1879 the Lifeboat crews of Southend have saved over 2000 lives. Working alongside our flank stations, Sheerness and Gravesend, the crew at Southend provide coverage for the ever increasing amount of river usage in the Thames estuary. A strong working relationship is also maintained with the Thames Coastguard who often coordinate rescues. Also Southend Coastguard operate the shoreside aspect of our rescues at a local level without whom our job would often be a lot more difficult. Just occasionally, when a Lifeboat may not be the quickest means to finish a job, we have our friends, the Coastguard, who lend helicopter assistance. The helicopter, whether it be for search purposes or ‘medi-vacing’ a casualty, can be crucial to the successful outcome of a rescue.